We have hand picked each item in the Fine Grade Clay Bar 100g and Clay Lube Kit because they are highly effective when paired together. To create the best kit possible we utilize our years of detailing experience, combined with input from some of the best detailers around the country. We are confident you will get outstanding results with each item and really enjoy how your vehicle looks afterward. Save 14% off of the retail price of individually purchasing these items! First time using the clay bar and lube of any kind. Definitely the bomb for getting your paint super clean prior to waxing or polishing. Paint still has a lot of sharp contaminants in it after just a shampoo wash. In my opinion, this clay is a little too soft and gentle. Have previously used Blackfire Poly Clay with great results. This DI Gentle Fine Grade would probably be a good clay for new paint or for maintenance of already cleaned paint, but I found it to be not aggressive enough for heavier contaminants. It also stuck to my hands alot worse than the Blackfire clay did. Great clay bar and lube for the money! A bit hard to kneed as stated but once worked in some it's great. 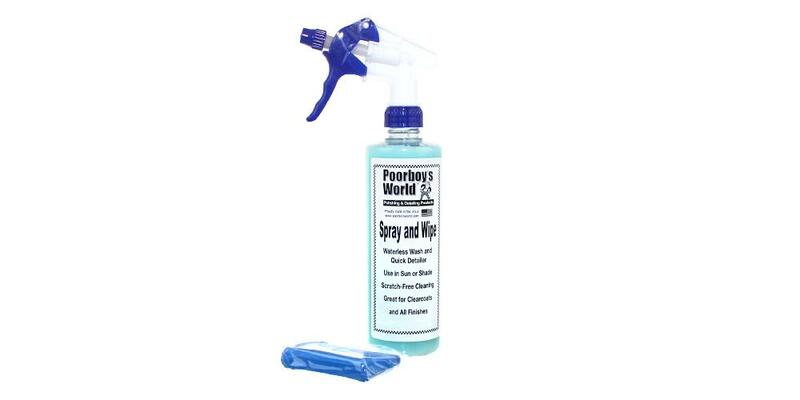 Little to no marring when used with a good lube or the clay lube provided which is Poorboys World.